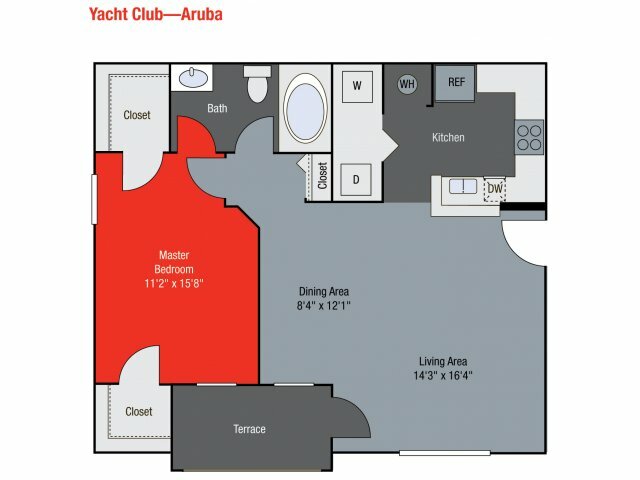 The Aruba floor plan is a 1 bedroom, 1 bathroom apartment that welcomes you into the open living and dining space. 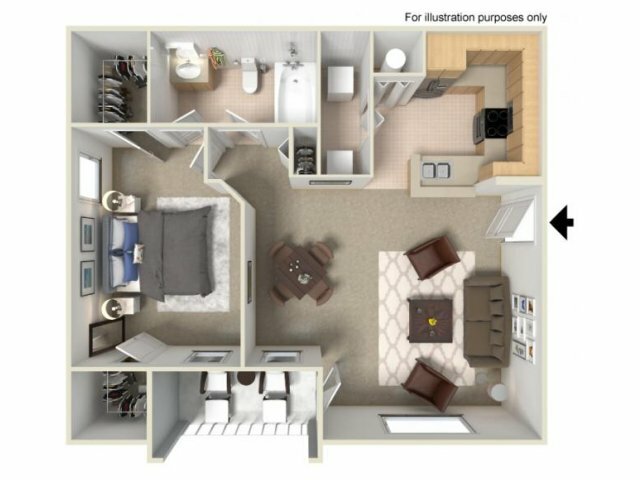 Off the living room is a corner kitchen with breakfast counter and access to your laundry room. This home features 2 walk-in closets in the master and a private patio/balcony that you can easily access from the living room.